The flavours in this dish are absolutely fantastic and work wonderfully together. The beauty of this dish is that it is very quick and easy to prepare and will be on your plate within minutes. 1. 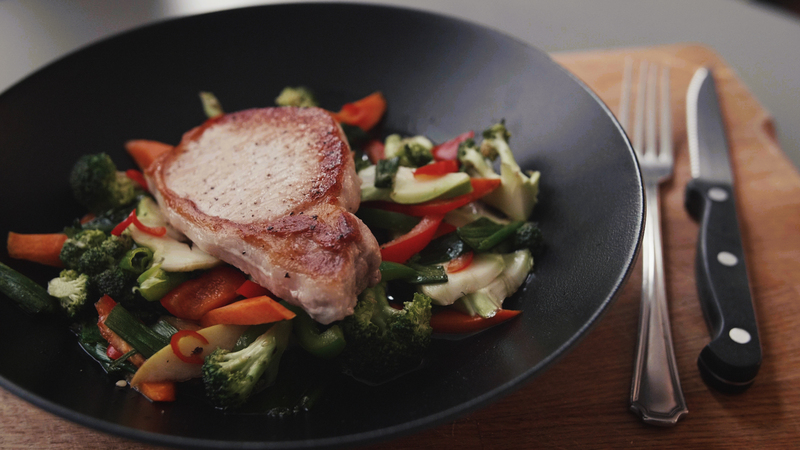 Season the pork chop with salt and pepper and a drizzle of olive oil. 2. Preheat a griddle pan over medium heat and cook on medium heat for 4-6 minutes on each sides until cooked though. 4. Add in the soy sauce, honey and toss well until fully coated. 5. Check the seasoning and serve the vegetables in a serving plate. Add the cooked pork chop and enjoy immediately.